This web page represents a legal document that serves as our Terms of Service and it governs the legal terms of our website, http://www.goldfishlifespan.com, sub-domains, and any associated web-based and mobile applications (collectively, “Website”), as owned and operated by Goldfish LifeSpan. The terms “us” or “we” or “our” refers to Goldfish LifeSpan, the owner of the Website. This license shall automatically terminate if you violate any of these restrictions and may be terminated by Goldfish LifeSpan at any time. Upon terminating your viewing of these materials or upon the termination of this license, you must destroy any downloaded materials in your possession whether in electronic or printed format. Listing of offered products on the Website could be used only for lawful purposes by Users of the Website. You could not frame or utilize framing techniques to enclose any hallmark, logo, copyrighted image, or most proprietary details (consisting of images, text, page layout, or type) of Goldfish LifeSpan without express composed consent. You might not use any meta tags or any various other “unseen text” utilizing Goldfish LifeSpan’s name or trademarks without the express written consent of Goldfish LifeSpan. You agree not to offer or modify any content found on the Website consisting of, however not limited to, names of Users and Content, or to recreate, display, openly perform, distribute, or otherwise make use of the Material, in any way for any public function, in connection with services or products that are not those of Goldfish LifeSpan, in other way that is likely to trigger confusion among consumers, that disparages or challenges Goldfish LifeSpan or its licensors, that dilutes the strength of Goldfish LifeSpan’s or its licensor’s residential property, or that otherwise infringes Goldfish LifeSpan’s or its licensor’s copyright rights. You also agree to abstain from abusing any of the material that appears on the Site. The use of the Material on any other website or in a networked computer system environment for any purpose is prohibited. Any code that Goldfish LifeSpan develops to generate or show any Material of the pages making up the Website is likewise secured by Goldfish LifeSpan’s copyright, and you may not copy or adjust such code. Goldfish LifeSpan has no duty to keep track of any products published, transferred, or connected to or with the Site. If you think that something on the Website breaches these Terms please contact our marked representative as set forth below. If alerted by a User of any products which allegedly do not conform to these Terms, Goldfish LifeSpan could in its single discernment explore the allegation and figure out whether to take other actions or ask for the removal or get rid of the Content. Goldfish LifeSpan has no liability or duty to Individuals for efficiency or nonperformance of such activities. If you utilize the Website, you are accountable for maintaining the confidentiality of your account and password and you accept responsibility for all activities that happen under your account and password. You also accept not to reveal any personally identifiable information, consisting of, however not limited to, first and last names, credentials, or various other details of a personal nature (“Personal Data”) from the Site. Your disclosure of any Personal Data on the website might result in the immediate termination of your account. Goldfish LifeSpan additionally reserves the right to refuse service, terminate accounts, and remove or edit Content at its sole discernment. Goldfish LifeSpan does not guarantee the truthfulness, precision, or dependability of Content on the site, consisting of Personal Data. Each Individual is accountable for upgrading and changing any pertinent account info when essential to preserve the truthfulness, precision, or reliability of the details. Registered Users of the Website might post evaluations and remarks of a product and services purchased by means of the Website, so long as the Material is not unlawful, profane, threatening, defamatory, an invasive of privacy, infringing of intellectual property rights, or otherwise injurious to third parties or objectionable and does not include industrial solicitation, mass mailings, or any type of “spam.” You may not use another User’s account to impersonate a User or entity, or otherwise deceive as to the origin of the opinions. Goldfish LifeSpan reserves the right (however is not bound) to eliminate or modify such Material, but does not regularly examine posted Material. If you post an evaluation or send comments, and unless Goldfish LifeSpan suggests otherwise, you grant Goldfish LifeSpan a nonexclusive, royalty-free, permanent, irrevocable, and completely sublicensable right to utilize, recreate, modify, adjust, release, equate, create derivative works from, distribute, and screen such content throughout the world, in any media. You grant Goldfish LifeSpan and sublicenses the right to utilize your name in connection with such Material, if they choose. You represent and require that You own or otherwise control all the rights to the content that You post; that the content is accurate; that use of the content You supply does not violate this policy and will not trigger injury to anyone or entity; which You will indemnify Goldfish LifeSpan for all claims resulting from Content You supply. Goldfish LifeSpan has the right but not the commitment to edit and keep track of or eliminate any task or Material. Goldfish LifeSpan takes no duty and assumes no liability for any content published by You or any 3rd party. 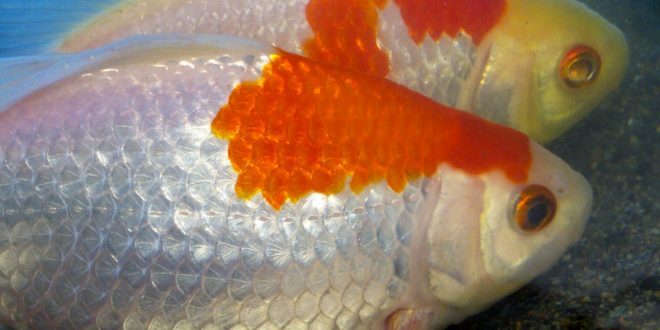 The materials appearing on Goldfish LifeSpan’s Website could include technical, typographical, or photographic errors. Goldfish LifeSpan does not warrant that any of the materials on its Website are accurate, complete, or current. Goldfish LifeSpan may make changes to the materials contained on its Website at any time without notice. Goldfish LifeSpan does not, however, make any commitment to update the materials. The materials on Goldfish LifeSpan‘s Website are provided “as is” Goldfish LifeSpan makes no warranties, expressed or implied, and hereby disclaims and negates all other warranties, including without limitation, implied warranties or conditions of merchantability, fitness for a particular purpose, or non-infringement of intellectual property or other violation of rights. Furthermore, Goldfish LifeSpan does not warrant or make any representations concerning the accuracy, likely results, or reliability of the use of the materials on its Internet Website or otherwise relating to such materials or on any sites linked to this site. The Website serves as a venue for Individuals to purchase distinct service or products. Neither Goldfish LifeSpan nor the Website has control over the quality or fitness for a particular function of a product. Goldfish LifeSpan likewise has no control over the accuracy, reliability, completeness, or timeliness of the User-submitted details and makes no representations or warranties about any info on the Site. THE WEBSITE AND ALL DETAILS, CONTENT, MATERIALS, PRODUCTS (INCLUDING SOFTWARE APPLICATION) AND SERVICES LISTED ON OR OTHERWISE MADE AVAILABLE TO YOU THROUGH THIS WEBSITE ARE PROVIDED BY Goldfish LifeSpan ON AN “AS IS” AND “AS AVAILABLE” BASIS, UNLESS OTHERWISE SPECIFIED IN WRITING. Goldfish LifeSpan MAKES NO REPRESENTATIONS OR WARRANTIES OF ANY KIND, EXPRESS OR IMPLIED, ABOUT THE OPERATION OF THIS Website OR THE INFO, MATERIALS, PRODUCTS (INCLUDING SOFTWARE) OR SERVICES LISTED ON OR OTHERWISE MADE AVAILABLE TO YOU THROUGH THIS SITE, UNLESS OTHERWISE POINTED OUT IN WRITING. YOU EXPRESSLY AGREE THAT YOUR USE OF THIS WEBSITE IS AT YOUR OWN RISK. TO THE COMPLETE EXTENT PERMISSIBLE BY APPLICABLE LAW, Goldfish LifeSpan DISCLAIMS ALL WARRANTIES, EXPRESS OR IMPLIED, INCLUDING, BUT NOT LIMITED TO, IMPLIED WARRANTIES OF MERCHANTABILITY AND PHYSICAL FITNESS FOR A PARTICULAR PURPOSE. Goldfish LifeSpan DOES NOT WARRANT THAT THIS WEBSITE; DETAILS, CONTENT, MATERIALS, PRODUCTS (INCLUDING SOFTWARE APPLICATION) OR SERVICES CONSISTED OF ON OR OTHERWISE MADE AVAILABLE TO YOU THROUGH THE SITE; ITS SERVERS; OR EMAIL SENT FROM Goldfish LifeSpan ARE WITHOUT VIRUSES OR OTHER HARMFUL ELEMENTS. Goldfish LifeSpan WILL NOT BE LIABLE FOR ANY DAMAGES OF ANY KIND ARISING FROM THE USE OF THE WEBSITE OR FROM ANY DETAILS, CONTENT, MATERIALS, PRODUCTS (INCLUDING SOFTWARE APPLICATION) OR SERVICES LISTED ON OR OTHERWISE MADE AVAILABLE TO YOU WITH THIS SITE, INCLUDING, BUT NOT LIMITED TO DIRECT, INDIRECT, INCIDENTAL, PUNITIVE, AND CONSEQUENTIAL DAMAGES, UNLESS OTHERWISE POINTED OUT IN WRITING. UNDER NO SCENARIO SHALL Goldfish LifeSpan’S LIABILITY DEVELOPING FROM OR IN CONNECTION WITH THE WEBSITE OR YOUR USE OF THE WEBSITE, DESPITE THE REASON FOR ACTION (WHETHER IN AGREEMENT, TORT, BREACH OF SERVICE WARRANTY OR OTHERWISE), GO BEYOND $100. Our Website may contain links to third party websites. 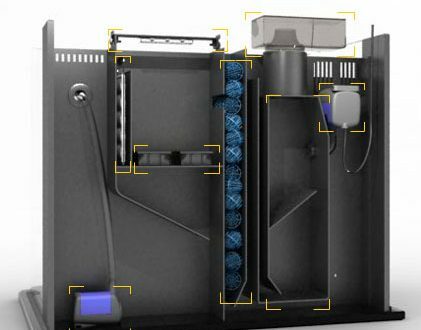 These links are provided solely as a convenience to you. By linking to these websites, we do not create or have an affiliation with, or sponsor such third party websites. The inclusion of links within our Website does not constitute any endorsement, guarantee, warranty, or recommendation of such third party websites. 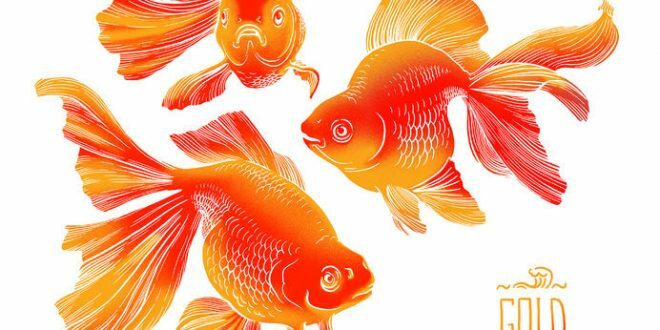 Goldfish LifeSpan has no control over the legal documents and privacy practices of third party websites; as such, you access any such third party websites at your own risk. Goldfish LifeSpan may revise these Terms of Service for its Website at any time without notice. By using this Website you are agreeing to be bound by the then current version of these Terms and Conditions of Use. 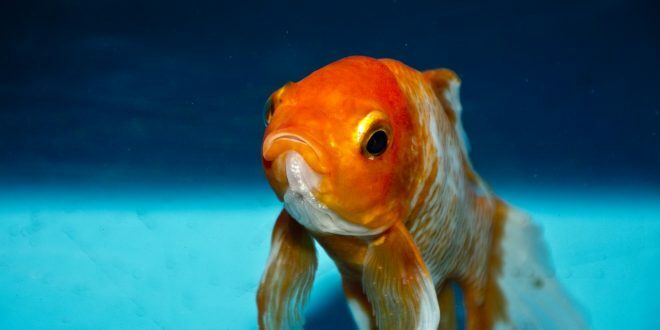 Any claim relating to Goldfish LifeSpan’s Website shall be governed by the laws of Croatia without regard to its conflict of law provisions, and You consent to exclusive jurisdiction and venue in such courts. You accept defend, indemnify, and hold safe Goldfish LifeSpan, its affiliates, and their corresponding officers, directors, agents and workers, from and against any claims, actions or demands, including without limitation affordable legal, accounting, and other provider charges, affirming or resulting from (i) any Content of most material You offer to the Site, (ii) Your use of any Content, or (iii) Your breach of the terms of these Terms. Goldfish LifeSpan will provide notice to You promptly of any such claim, match, or case. Our Legal Terms shall be treated as though it were executed and performed in Croatia and shall be governed by and construed in accordance with the laws of Croatia without regard to conflict of law principles. In addition, you agree to submit to the personal jurisdiction and venue of such courts. Any cause of action by you with respect to our Website, must be instituted within one (1) year after the cause of action arose or be forever waived and barred. Should any part of our Legal Terms be held invalid or unenforceable, that portion shall be construed consistent with applicable law and the remaining portions shall remain in full force and effect. To the extent that any Content in our Website conflicts or is inconsistent with our Legal Terms, our Legal Terms shall take precedence. Our failure to enforce any provision of our Legal Terms shall not be deemed a waiver of such provision nor of the right to enforce such provision. The rights of Goldfish LifeSpan under our Legal Terms shall survive the termination of our Legal Terms.